Cat has an Associate of Arts degree from the University of Maine. Attended Haywood Technical Community College, Production Crafts Program in Clyde, NC. She has been published in many Lark books, most recently in the “500” series of plates, platters, and chargers in 2008. She was a featured artist in the Sept/Oct 2001 issue of Clay Times, and has even appeared as one of the crafters in an episode of HGTV program “That’s Clever,” October 2005. She has been invited and accepted into many exhibitions and shows over the past 28 years. ACCSE “SPOTLIGHT” held at Arrowmont School of Crafts in Gatlinburg, TN, Fall 2007, and the 51st Annual National Arts Exhibition at Rocky Mount, NC, May thru Set. 2008. Cat has been an active member in the prestigious Southern Highland Crafts Guild located in Asheville, NC since 1993. She is also an accepted member in Piedmont Craftsmen since 1998. 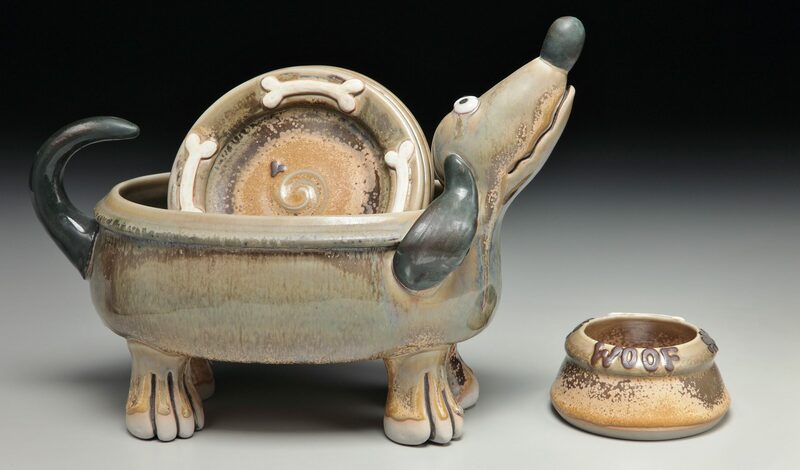 She was juried into Carolina Designer Craftsmen, in Fall 2007; founding member of The Village Potters in RADA (2010-2013), and juried into Odyssey Co Op Gallery in the Asheville River Arts District, 2017. Founding member of http://www.cometoleicester.org Studio Tour.